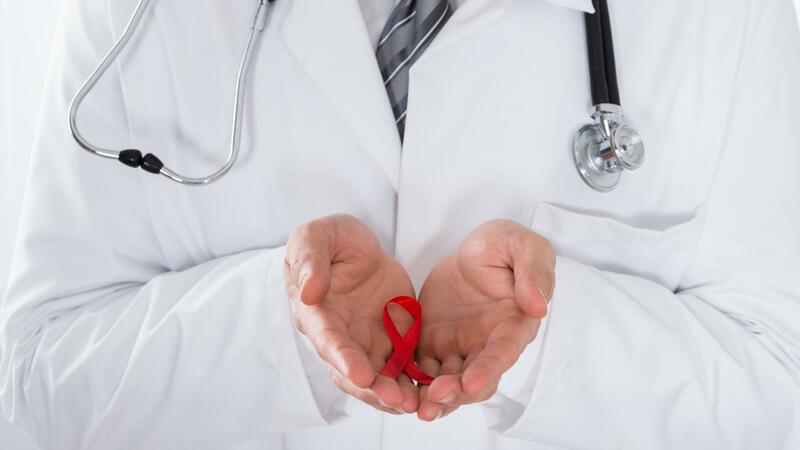 HIV symptoms vary depending on the stage of the disease. Usually, the HIV infection is not visible, and most people learn of their status when they are already at an advanced stage. HIV infection happens in 5 stages: incubation, when the blood has no virus antibodies, and 4 clinical stages, when antibodies are detected and a body shows signs of the disease: primary stage, latent stage, stage of secondary diseases and end-stage. In the first stage, the virus enters the human body, and whilst the immune system didn’t start to actively resist, HIV replicates rapidly and affects cells responsible for immunity. The period from the time when HIV enters the human body until the onset of symptoms is called the serological window. At this time, the reaction to the human immunodeficiency virus is negative because specific antibodies are not yet detected. Duration of this stage is usually between 3 weeks to 3 months, but in some cases it can last up to 1 year. After infection and incubation period, the acute phase of HIV infection starts, which may be accompanied by a variety of symptoms: fever, rash, swollen lymph nodes and diarrhea. In most cases, an acute flu-like syndrome develops, which patients defined as a strong case of the flu. The stage lasts an average of 2-3 weeks, and then it becomes latent in most people. The primary stage may also have an asymptomatic form when any manifestations of HIV infection or concomitant diseases that emerge in the background of immunodeficiency do not show up. The body's response to the virus entry only manifests itself by generation of antibodies. In most cases, the asymptomatic form is diagnosed by blood test results. The latent stage is distinguished by a gradual increase in immunodeficiency. During this period, the death of immune cells is compensated by increased generation of such cells. At this stage, HIV is diagnosed by testing the blood for the presence of antibodies. External symptoms may be manifested by swollen lymph nodes. The latent stage may last from 2-3 years up to 20 or more years . On average, the duration is 6-7 years. The stage of secondary diseases is divided into forms (4 A-B) depending on the severity of the manifestations. At this stage, concomitant (opportunistic) viral, bacterial, fungal infections develop, as well as malignant tumors in the background of progressive immunodeficiency. This stage lasts 1-2 years. The end-stage is characterized by irreversible changes. The management of HIV infection becomes ineffective. The number of T-lymphocytes (Cd4 cells) reduces, and the patients die after weeks or months from the beginning of the stage. The progress of HIV-infection is rather diverse, not all the stages always manifest, sometimes clinical signs may be absent. Depending on the individual characteristics of the human body, the duration of the disease in the absence of antiretroviral therapy ranges from a few months to up to 15-20 years. An individual may not know he has HIV for many years. However, the immune system, without treatment, ceases to function properly, and concomitant life-threatening diseases develop which can eventually lead to death. Therefore, it is extremely important to identify HIV in a timely manner and start therapy before HIV has seriously damaged the immune system.